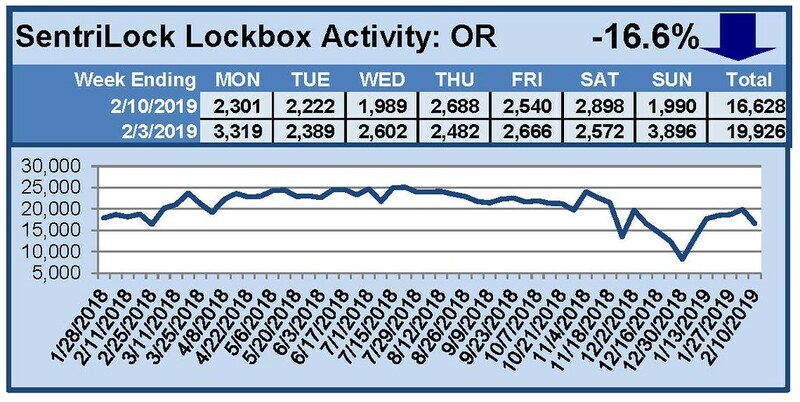 For the week of April 1-7, 2019, these charts show the number of times RMLS™ subscribers opened SentriLock lockboxes in Oregon and Washington. Increased activity was seen in both states this week. 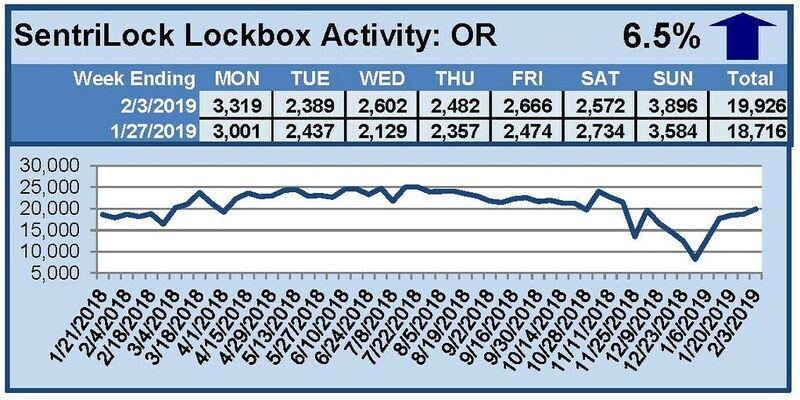 For the week of March 25-31, 2019, these charts show the number of times RMLS™ subscribers opened SentriLock lockboxes in Oregon and Washington. Oregon and Washington saw an increase in activity this week. 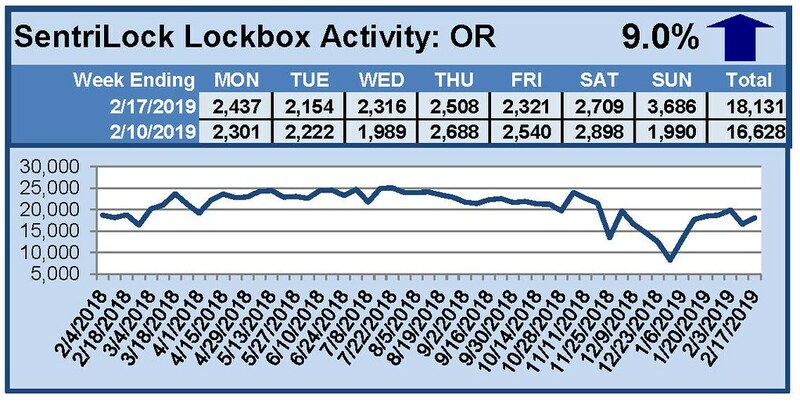 For the week of March 18-24, 2019, these charts show the number of times RMLS™ subscribers opened SentriLock lockboxes in Oregon and Washington. Activity decreased in both states this week. 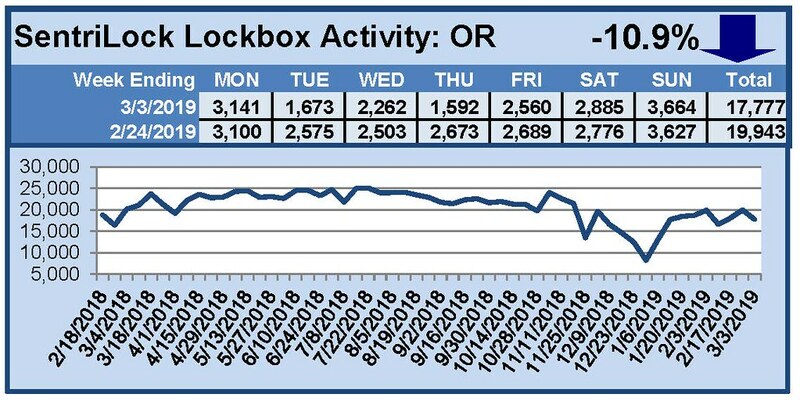 For the week of March 11-17, 2019, these charts show the number of times RMLS™ subscribers opened SentriLock lockboxes in Oregon and Washington. Activity increased in both states again this week. 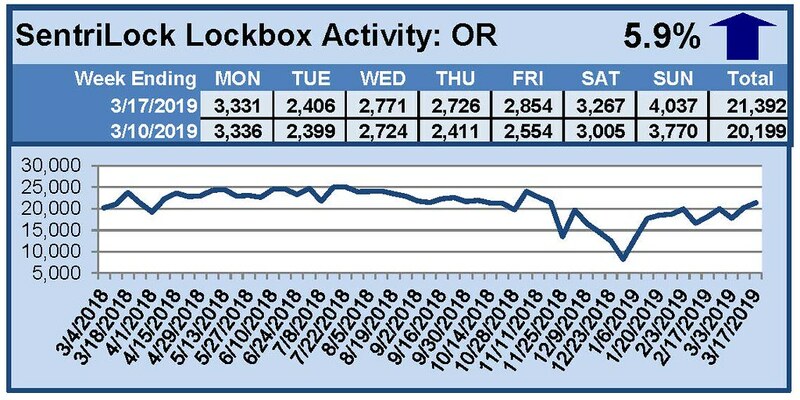 For the week of March 4-10, 2019, these charts show the number of times RMLS™ subscribers opened SentriLock lockboxes in Oregon and Washington. Activity increased in both states this week. 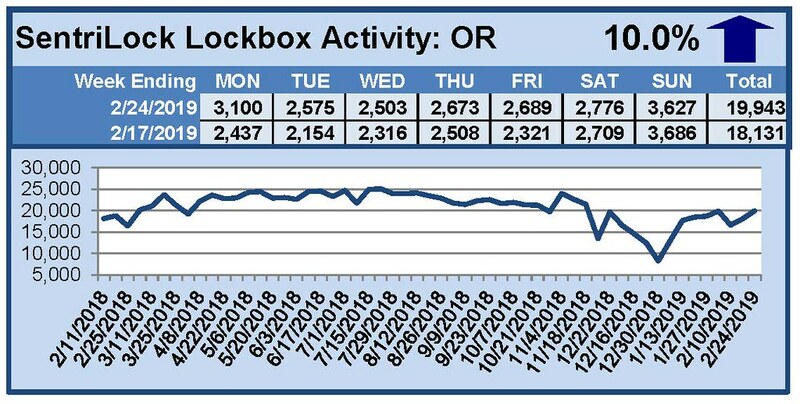 For the week of February 25-March 3, 2019, these charts show the number of times RMLS™ subscribers opened SentriLock lockboxes in Oregon and Washington. Activity decreased in both states this week. 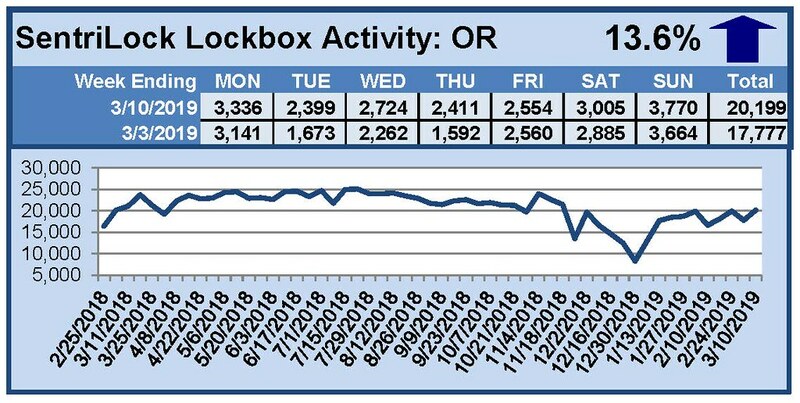 For the week of February 18-24, 2019, these charts show the number of times RMLS™ subscribers opened SentriLock lockboxes in Oregon and Washington. Activity increased in both states this week. 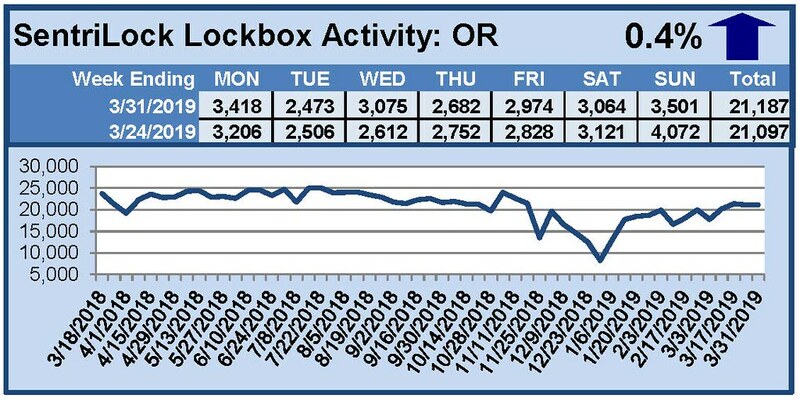 For the week of February 11-17, 2019, these charts show the number of times RMLS™ subscribers opened SentriLock lockboxes in Oregon and Washington. Activity increased in both states this week. 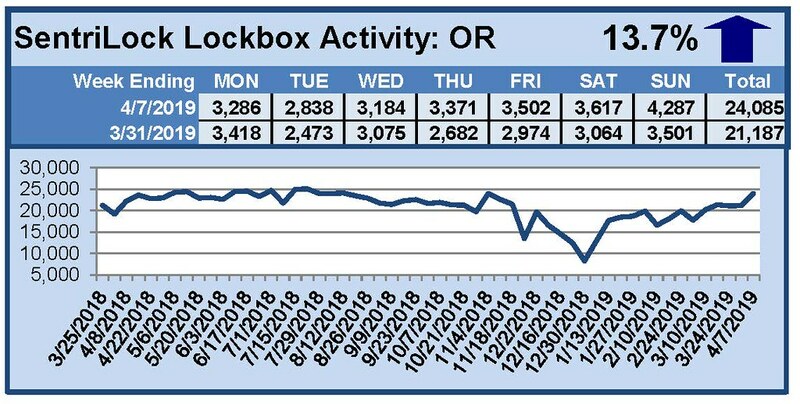 For the week of February 4-10, 2019, these charts show the number of times RMLS™ subscribers opened SentriLock lockboxes in Oregon and Washington. Activity in both states decreased this week. 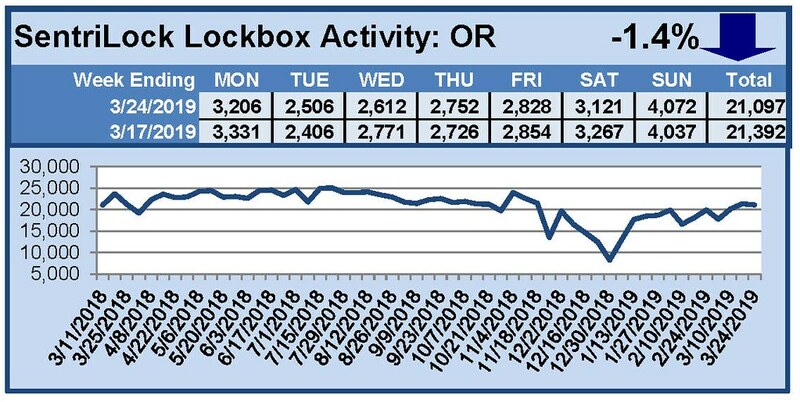 For the week of January 28-February 3, 2019, these charts show the number of times RMLS™ subscribers opened SentriLock lockboxes in Oregon and Washington. Both states saw an increase in activity this week.